So. It is hot. But this pales in comparison to the fact that I spent the last few days in Baby Central, and (insert drum roll here) - had a fantastic time. After a family wedding on Saturday, we headed with my brother and his wife and The Cutest Niece in the World to a beach house for a few days. Where, unbeknownst to us, we also ended up staying with my cousin and his wife and their 10-month old son; my sister-in-law's cousin and his wife and their 4-week-old son; and my sister-in-law's sister, her 3-month-old, and her 2-year old daughters. Let's tally that up, shall we? Under normal circumstances over the past six months, this would have been the equation. So I don't really know why that wasn't the case. Everybody slept pretty well, which helps enormously. And maybe the sea air cleared my head. Because, apart from a few frustrating moments here and there, we had a blast. We hung out with babies all day long; it was like being thrown into a language immersion class when you've been unsuccessful trying to learn the language for years, so you expect to be all irritated by the experience, but you end up having a fantastic time. Who knew? So we're heading into the next phase of the Baby Quest in a better frame of mind, for which I am very grateful. I have an appointment with my doctor in a few weeks, and we'll see what happens from there. Probably more on this later, but the most amazing development of the past few weeks is that my parents would like to give us the money for the Shared Risk program (buy-2-IVF-cycles, get one free). So we're probably heading in that direction. But for now, I think my fingers are about to swell right off, so perhaps I should stop typing. There haven't been many days like this, but as the thermometer soars today, I have to admit: I'm not terribly unhappy, right now, that I'm not pregnant. Don't get me wrong; I would suffer through gladly, but I'll take the silver lining of Summer Infertility and drink up another margarita while I lay on the bed in my underwear. Because, in case you had forgotten, it. is. HOT. I am very glad that your trip was a fun one, and you enjoyed the babies. Great news on Shared Risk! That is AMAZING!! What a gift. Enjoy (or survive) the heat! THANK YOU for the comment! I will send Abby a note, too, but as I suspected, you've shown me that others will write a much more eloquent letter than I ever could. I'm so happy to hear about your wonderful trip and the beginnings of your future plans. As hard as it is for me, I do generally enjoy being around my niece and nephew, and I'm sad they've moved away (up to your neck of the woods apparently, so I guess they're quite hot right now). I do find it hard to believe (and kind of funny) that you're having much hotter weather than we are down here in the Sacramento Valley. I'm really sorry about that! I'm glad you enjoyed your stay at "Baby Central," as unexpected as that was. Oh, and your letter to Dear Abby ROCKED! Very eloquent and well-stated. my sister was just bemoaning the heat in portland- 106 yesterday. and when i suggested she go to a friend's place with ac she scoffed. "No one has ac here, for the ONE week of the year it might be needed." we were visiting her once during that one week. kev's first exposure to the northwest. he hates heat. everyone kept saying "It's NEVER like this." over 90 on the coast when we were there. freakin' nuts. anyhow... i feel for ya and her and yup... great reason not to be pregnant- enjoy that rita and underwear, etc. SO glad the vacation equation worked out differently. and WOW on your parents' offer to pay. Oh, man -- the heat sounds horrible. Every once in a while it gets over 100 in San Francisco, and much the same thing occurs. No a/c anywhere. So happy to hear that you're in a good headspace, and looking ahead to next steps! Ugh, heat is bad. Luckily for me we are having a cold wave. At least relatively cool for summer in the south. many of my friends in PNW are scrambling to find and purchase A/C for this summer... i can't imagine! i hope you find cool places to chill out in!! That heat sounds horrible! Hope you enjoyed the margarita. Hope the hot streak breaks and you get some relief. Mmmm, margaritas, how I love them! I'm so glad your trip was wonderful! I'm so glad you have folks that support you in your IF struggle, and who want to be a part of things. It's so good to hear you're feeling good! Hope the heat is better now. 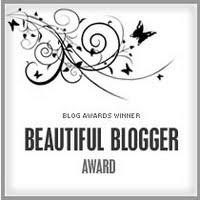 I really enjoy reading your blog, and am awarding you with the "One Lovely Blog Award." 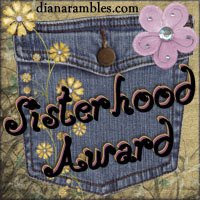 Visit my blog to accept it. Congrats!